Just in time for Restaurant Week Wailea – which is happening November 4-10, 2018 – our partners at MauiNow.com are releasing two new video interviews with top Wailea chefs! If you’re a “foodie” you no doubt are very familiar with Maui’s Chef Sheldon Simeon – a two-time contestant and two-time winner of “Fan Favorite” on Top Chef. He’s just opened Lineage, a new restaurant in Wailea that’s earning rave reviews from locals and ‘Sheldon fans’ from all over. BMI Presents An All-Star Lineup at 2018 Maui Songwriters Festival on November 29 – December 1. Miranda Lambert to Headline the Festival featuring a special performance by the Pistol Annies. Save the date for the fourth annual Maui Songwriters Festival: November 29 – December 1, 2018! The festival, presented by the music publisher BMI, is being hosted by Wailea’s own Grand Wailea, a Waldorf Astoria Resort. The event will also support several nonprofits, including the Maui Arts & Cultural Center, the Dorvin and Betty Leis Charities, Inc., and the BMI Foundation. Chances are you don’t think about Maui’s invasive plant speacies. But Grand Wailea’s chef, Mike Lofaro, does – and he’s approaching the issue in a very unique and innovative way. The best way to solve the problem of invasive species may be to make them delicious. Lofaro, named Maui’s “Chef of the Year” in 2016, has always been a champion of finding innovative ways to live off the land. The concept of his Emmy-winning “Search Hawaii” show—which also ran in 2016—featured him and Grand Wailea’s cultural ambassador, Kainoa Horcajo, traveling through Hawaii to unearth ingredients found in nature and create meals based on the Hawaiian lunar calendar and local culture. Money Inc. Offers 12 Reasons to Stay at the Kea Lani! Here’s a new article that highlights one of our Wailea resorts, the Fairmont Kea Lani. It’s written by Los Angeles-based writer, Melissa Curtin. Her tips are well-documented and she supplied numerous photos to back up her claims! 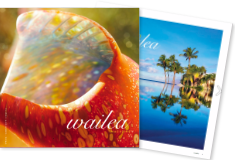 It’s an excellent read whether you are local and wanting a “staycation” or if you are thinking of visiting the luxurious and beautiful Wailea resort destination! For example, did you know that all rooms are suites, averaging 860 – 1100 square feet? No need to feel cramped on Maui, especially when you add in the numerous outdoor activities on the resort property and nearby. The Fairmont Kea Lani boasts three pools (with an adults-only pool and 2 activity pools connected by a 140-foot waterslide), 4 restaurants and lounges, 24-hour fitness with daily fitness and wellness classes, Kid’s Club, a gourmet bakery and deli, chic boutiques, and award-winning Willow Stream Spa. Read all 12 tips from Melissa Curtin on the Money Inc. website. This year’s participants include repeats Justin Brunson of Old Major in Denver; Sam Jones of Sam Jones Barbecue in Winterville, N.C.; Hubert Keller of Fleur in Las Vegas; Chris Lilly of Bob Gibson Barbecue in Decatur, Ala; Wayne Mueller of Louie Mueller BBQ in Taylor, Texas; Aaron Sanchez of Johnny Sanchez in New Orleans; and Maui’s Sheldon Simeon of Tin Roof in Kahului and the upcoming Lineage at The Shops at Wailea. This event has become so popular (and smokin’ hot delicious!) that several major media outlets are here to cover the event. They include Travel + Leisure, Wine Enthusiast, the Food Network, Food & Wine, Coast Magazine, USA Today and Texas Monthly. This event was packed with local food, professional chefs, Aaron Sanchez – judge for the TV show Chopped, custom cocktails, a traditional imu, fabulous desserts, and more. Get all the barbecue details over at MauiNow.com. The article also includes an opening announcement for Okoa, a new outdoor barbecue restaurant at the Grand Wailea. Learn more about ‘Oko‘a at the Grand Wailea here. View current and back issues of our local magazine, online.